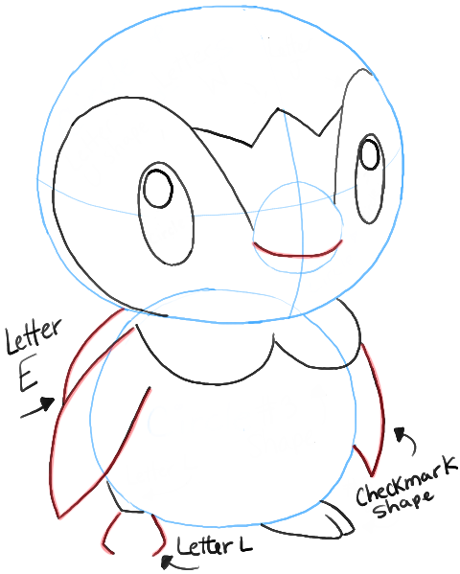 Piplup is the cutest of all the Pokemon characters (in my opinion) and I’m very excited to teach you how to draw him today. Piplup is a light blue penguin-like creature and is water-type Pokemon. 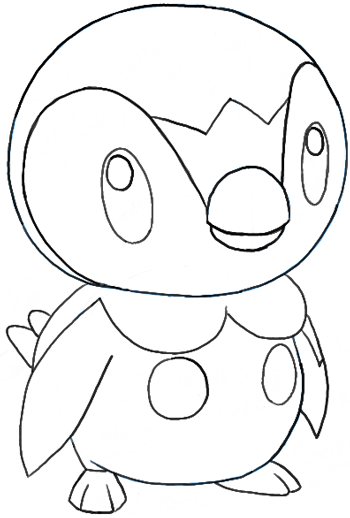 Piplup is able to live in cold climates, is able to fly short distances, and can swim underwater for a very long time. 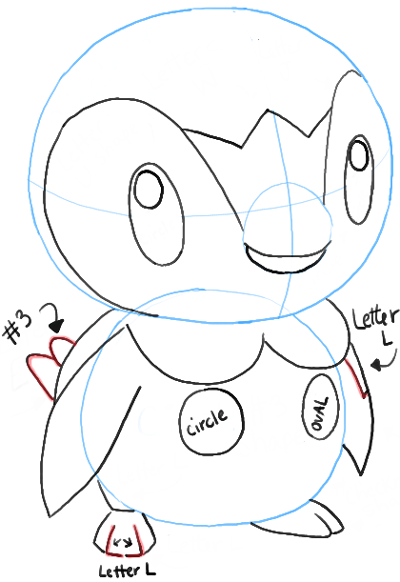 Learn how to draw Piplup with the following easy to follow steps. 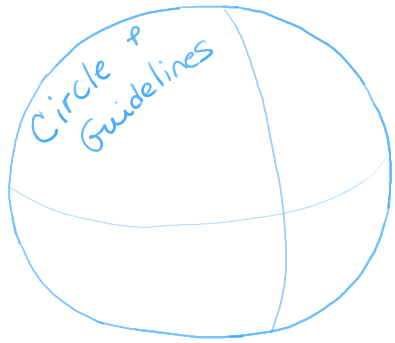 Lightly draw a circle and guidelines. – Use the guidelines to help you place features. 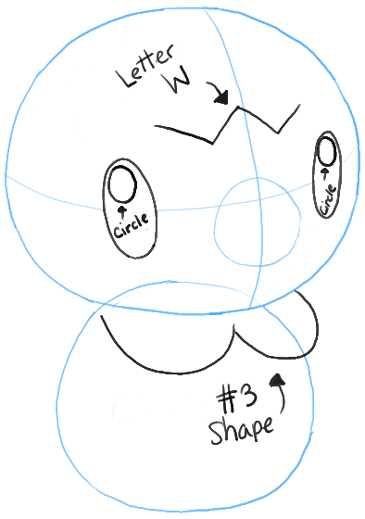 Draw ovals for eyes and a circle for beak. – Draw a circle body. – Draw circles in the eyes for the highlights. – Draw a letter ‘W’ shape on the forehead. – Draw a sideways #3-like around the collar. – Draw a letter ‘U’ and a letter ‘J’-like shape on either side of the face. – Draw a letter ‘L’ and a #3-like shape at the bottom of the figure. – Draw a curved line in the beak circle. – Draw a capital letter ‘E’ shape for the left wing…and a checkmark-like shape for the right wing. – Draw 2 inward turned letter ‘L’ shapes. – Draw a #3-like shape on the right side of the penguin. – Draw a few letter ‘L’-like shapes. 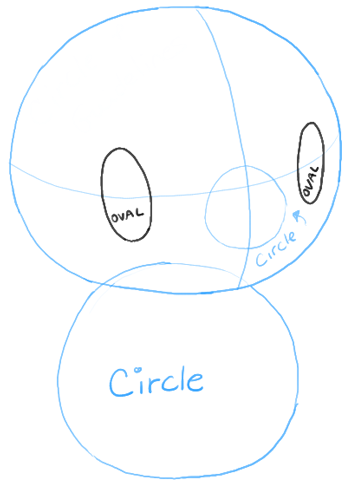 – Draw a circle and and oval on chest. Darken these lines that we show here. Erase the guidelines (they are blue in this tutorial). 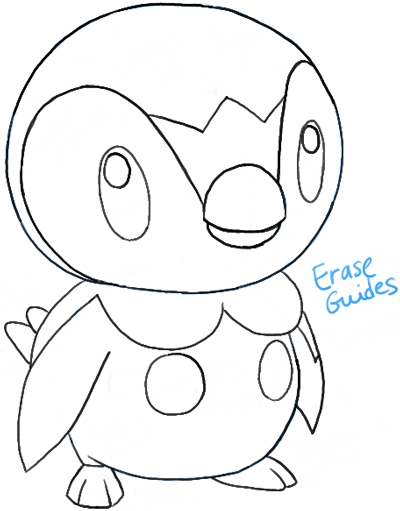 This is what your Piplup should look like when he is finished. Isn’t he adorable? 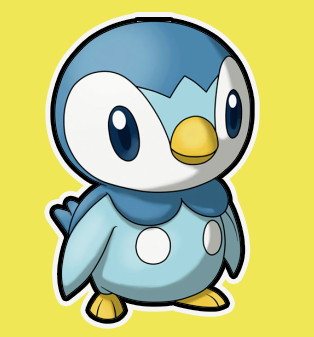 This is my daughter’s favorite Pokemon…she loves penguins and this Pokemon looks just like a cute little baby penguin. 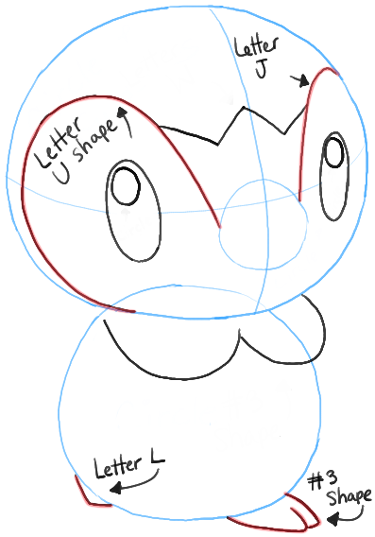 I hope that this tutorial helped you draw Piplup and that you come back to learn how to draw other Pokemon characters…as well as other cartoon characters. this is my favorite pokemon to! Why .gave us the reason why u like this Pokemon. Thanks for the help! 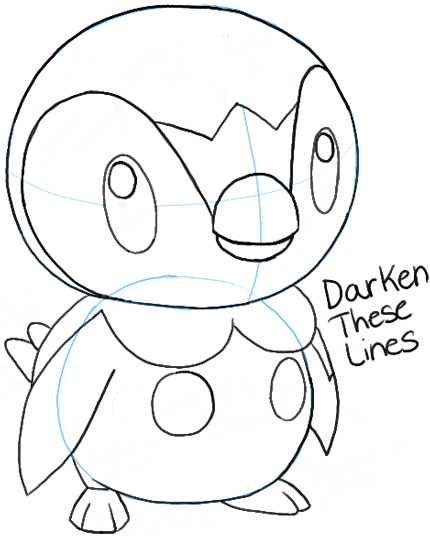 I used to have so much trouble drawing Piplup. And now I can draw it with ease! Once again, thanks! A lot of people have trouble drawing .when u get use to it ,u will know that you will be the best artist ever .anonymous. It’s my favorite Pokemon too! but it’s such a shame that it isn’t in the first triple starter ones. By The Way- I want him in pokemon go! This article was written on 14 Jan 2014, and is filled under Manga TV Shows, Pokemon.